Sologub upgraded GDP growth figure in Q2. 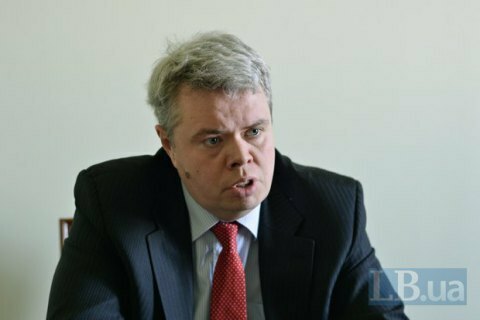 The National Bank of Ukraine sees an acceleration of economic growth in Ukraine in the second quarter, deputy governor of the central bank Dmytro Solohub told a news conference on 28 July. "While we saw a very slight increase in the first quarter around 0.1% ,in the second quarter, the figure has improved. According to our estimates, it will exceed 1% or will be in the range of one to two per cent," he said. Real gross domestic product of Ukraine inched up 0.1% in the first quarter of 2016 over the first quarter of 2015, after a 17% plunge the previous year. The Cabinet had forecasted a 2% economy growth for 2016, but after the first months of the year the National Bank and the Ministry of Economic Development downgraded the forecast to 1%. In late June, Prime Minister Volodymyr Groysman said he expected a 1.5% growth in 2016.